The Public Sector Communication Series has been designed and developed to help boost the skills of all those who in communications. 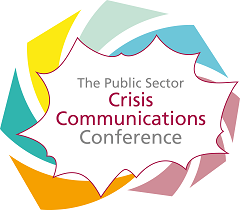 Discover the latest success stories that inform and inspire from across the Public Sector Communications Conference Series. Planning, designing and delivering world-class communications.The ever-expanding and evolving expectations of citizens and consumers are placing a higher importance on how we plan and deliver communications. Hear from leading experts on creating content, boosting engagement, gaining valuable audience insight, communicating in a crisis, communicating in a politically charged environment and evaluating and measuring success, all within a constrained budget. Successfully delivering a world class customer experience every time. The needs of customers are constantly changing, stay ahead of the curve and explore the latest developments and challenges affecting customer service and communications professionals, including, placing customer experience at the heart of your organisation, using the right channels to engage and how new technologies are changing our approach. The way we communicate is ever-evolving, requiring communication professionals to continuously rethink, redesign and revaluate how we can successfully plan, reach and deliver effective and efficient internal communications. Harness the latest tools, techniques and strategies to deliver internals communications that clear, effective and inspire your organisations audience. Established in 1994, Public Affairs News is the only dedicated publication for UK and EU public affairs professionals. Public Affairs News is published by Dods plc and the editor is David Singleton. David is also editor of Total Politics and is a former associate editor of PRWeek. Providing authoritative, high-quality journalism to the civil service and national politicians, Civil Service World is the only independent professional publication available to every senior civil servant in the UK. The brand’s success is based both on our unique access to top Whitehall officials, and the trust we’ve built up across government. For ten years, we’ve worked to keep civil servants informed about what’s happening across government: the people, agendas, policies and reforms that – for good or ill – affect your working life. And until this summer we did so in a fortnightly tabloid, full of interviews, features, opinions and news examining contemporary topics across UK government. Westminster Briefing is part of Dods Group Plc, Europe’s leading political information, public affairs and policy communication specialist. Established in 2003, Westminster Briefing runs half-day and full-day events covering all areas of public policy, from education to health and criminal justice. Our briefings are aimed at providing delegates with an understanding of the practical implications of legislative changes and policy interventions. We attract leading figures from the Government, the wider public sector and industry to speak at our events, which are attended by a mix of policy.